AICSYS Inc. is proud to announce the opening of their new Corporate Headquarters. 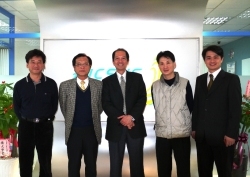 At the Grand Opening and Ribbon Cutting Ceremony on December 23rd 2009 Steven Liu, Vice President of AICSYS said "AICSYS will continue to adhere to our strict business policy of supplying high quality IPC products to the market. As of late, the IPC Market has seen the commoditization of our products, resulting in many IPC companies losing site of the true challenges of the Industrial PC market; producing products with the durability, flexibility and compatibility which our industry demands. In switching focus from top of the line products to low cost products, many companies have provided inferior products to the Market. AICSYS has not deviated from our business model even in today's challenging economy, we insist on providing our customers with high quality products." Liu also added "I have been in this business for almost 20 years I treat all of my customers as partners, with the ultimate goal of growing both of our companies. 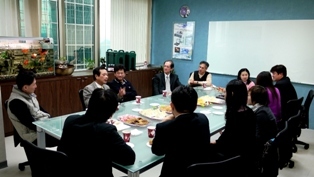 I understand their needs and they trust my professionalism in this field" Liu concluded before he started the ceremony. There were more than 50 people attending the ceremony for the opening of the new offices including local suppliers and media. As we settle into our new offices, we are forever thankful to all who have supported us through the years.